You are entitled to make your own healthcare decisions as long as you can understand the basics of the decision and its consequences, and can communicate adequately. However, if you lose the capacity to do so, someone else will be appointed to make healthcare decisions for you. 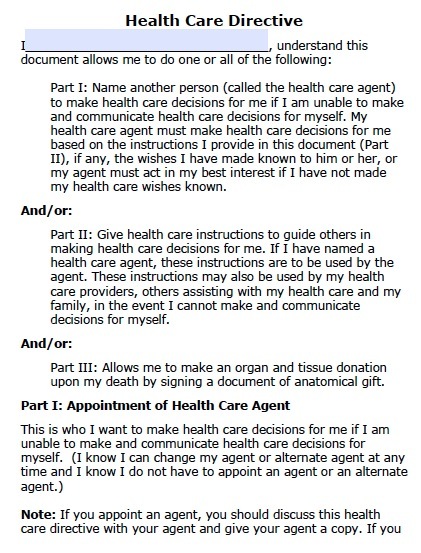 With a health care directive, you can make all of this more predictable by stating in advance which treatments you want and naming someone to act as your healthcare agent. Your healthcare agent will have the power to consent to or refuse any procedure or treatment to affect a condition you have, as well as hire medical personnel and review your medical records. Thus, it is paramount that the agent understands your health concerns and values thoroughly. You may limit the agent’s decision-making power as much as you want. These documents are binding in North Dakota, meaning that healthcare personnel must follow what your directive says. So if you choose in advance to withdraw life-sustaining treatments when you have a terminal condition, you can be secure knowing that your wishes will be followed. You may also give specific instructions about whether you want to receive as much pain medication as needed, and write about your personal values and beliefs to guide your agent.